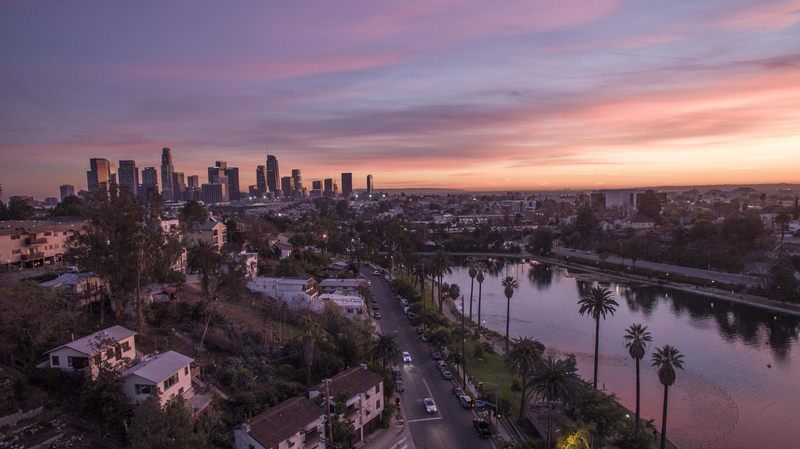 Have you always wanted to become an Angeleno so that you could enjoy the sunny weather, awesome attractions, and a unique local culture? Like you, many people dream of living in Los Angeles but the cost of living in the area is much higher than most people can afford. While you may not be able to live in the heart of the city, there are plenty of suburbs around the downtown area that are much more reasonably priced. No matter if you’re interested in buying a home or renting, here are 5 affordable LA neighborhoods to consider. The median home value in Palmdale is $314,300, with most homes selling at around $303,500. This is a steal if you’re looking to purchase! The median rent price in the suburb is $1,880, which is more than $1,300 less than what you’ll pay in the downtown area. What’s great about Palmdale is that it’s home to huge companies, including Northrop Grumman and Lockheed Martin, which means the economy is booming. There are also all sorts of attractions in the city including the Rancho Vista Golf Course and the Palmdale Amphitheater. Commuting to LA from Palmdale may be a stretch, as the suburb is located 62 miles away, but the area in itself is rich in jobs. The average home value in Paramount is $417,800, with most homes selling at $377,600. If you’re in the market to buy, this is a great area to buy a home with equity already in it. The average rent in the area is $2,259, which is $600 less than what you’ll find in downtown LA. Paramount is bordered by South Gate, Long Beach, and Compton, and is well-loved for its diverse and vibrant communities. The suburb has 10 public parks, to include skate ramps, jogging trails, and fishing ponds. This is a good area to live in if you’re commuting to the city as it’s only 16 miles away from the downtown area. The median home value in Pomona is $422,800 and houses typically sell for $424,200. Rent is almost $1,000 cheaper than what you’ll find in downtown LA, averaging around $2,195. The area isn’t right next to LA but it’s close enough that you can still enjoy the hustle and bustle of the city. Just 30 miles away from LA, Pomona isn’t the worst neighborhood to live in if you need to commute to LA. Head down Route 10 and you’re there in no time! Compared to other suburbs on the list, Norwalk is the one with the hottest housing market. Most homes value around $478,800 and sell for $473,000. With home values expected to increase 6.3% in the next year, now is the time to buy. Rent in the suburb averages at $2,375, which is more than $800 cheaper than the downtown area. Norwalk is best known for being home to Cerritos College. The town has a very small college town feel, with plenty of nightlife and family entertainment options. Not only is Norwalk only 17 miles from LA, but it also offers access to three interstates! There’s also a public bus system for easy commuting. The average home value is $460,300, with most homes selling for around $467,100. This is $432 cheaper than the downtown area. The average rent in La Puente is $2,231, which is much cheaper than rental prices in LA. La Puente may be one of the smaller suburbs of LA, but the area is quaint, quiet, and full of greenery. Located just 20 miles east of downtown Los Angeles, La Puente is a great location for commuters who work in or near the city. La Puente is the ideal place to nature lovers. Spend time hiking Puente Hills or enjoy the sights at the Peter F. Schabarum recreation center. San Gabriel Valley is so nearby, offering even more beautiful sights, hiking, and other outdoor activities. Moving to a more affordable suburb is just one way to make living in Los Angeles more affordable. Other options include being energy efficient, using public transportation, and saving money on must-have services like internet, phone, and cable. In fact, many of the fastest and best internet providers in LA price match their competitors. This can save you hundreds, possibly thousands of dollars a year! Living in LA doesn’t have to cost an arm and a leg. By choosing one of these 5 suburbs, you can enjoy life as a Los Angeleno without the sticker shock. To read more on topics like this, check out the money category.